News straight from SDCC09. Looks like Microsoft is doing what was done with the Animatrix and the relatively recent Batman anime collaboration. Studios up for the project seem to be Bones, Toei , Production I.G, Studio 4C and Casio. The project will be called, Halo Legends and is expected to be done and out on DVD and Blu-Ray by early 2010. Big thanks to toplessrobot.com for the info as well as the L.A. Times. Check out their links for more info on this interesting melding of two worlds that us otaku are pretty well familiar with. Man the way you bash your job is scary. Just think what would happen if you boss seen this. 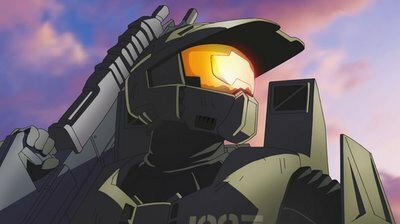 I'm not a big Halo fan... actually I could care less, but I would love to see this just for the heck of it.